2018 Registration link is NOW OPEN. 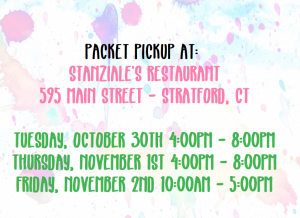 2018 Vendor forms are available here. 2018 Sponsorship forms are available here. 2018 FAQ’s are available here. 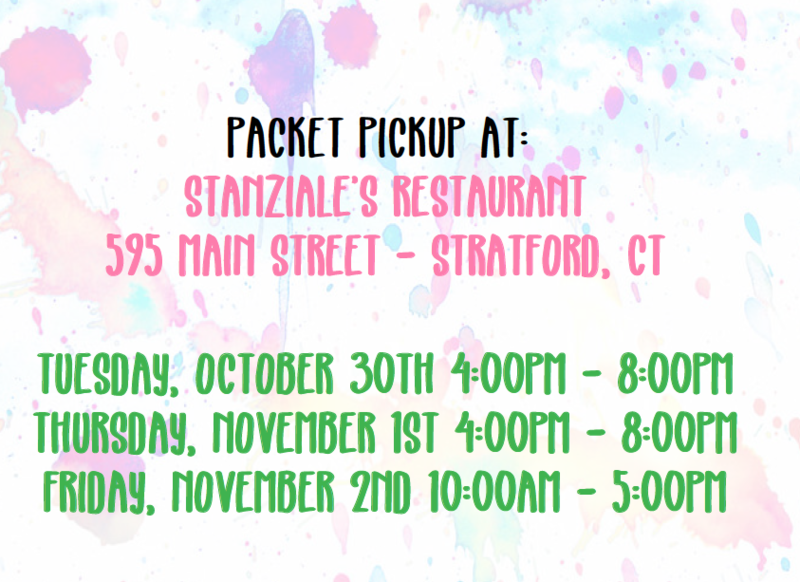 2018 Packet Pickup & Race Day Details available here. 2018 Race Day Course Map is available here. 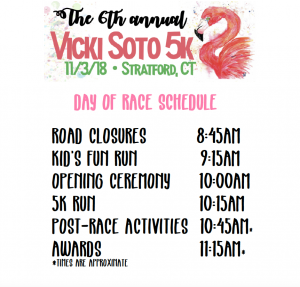 Traveling for the Vicki Soto 5k this year? 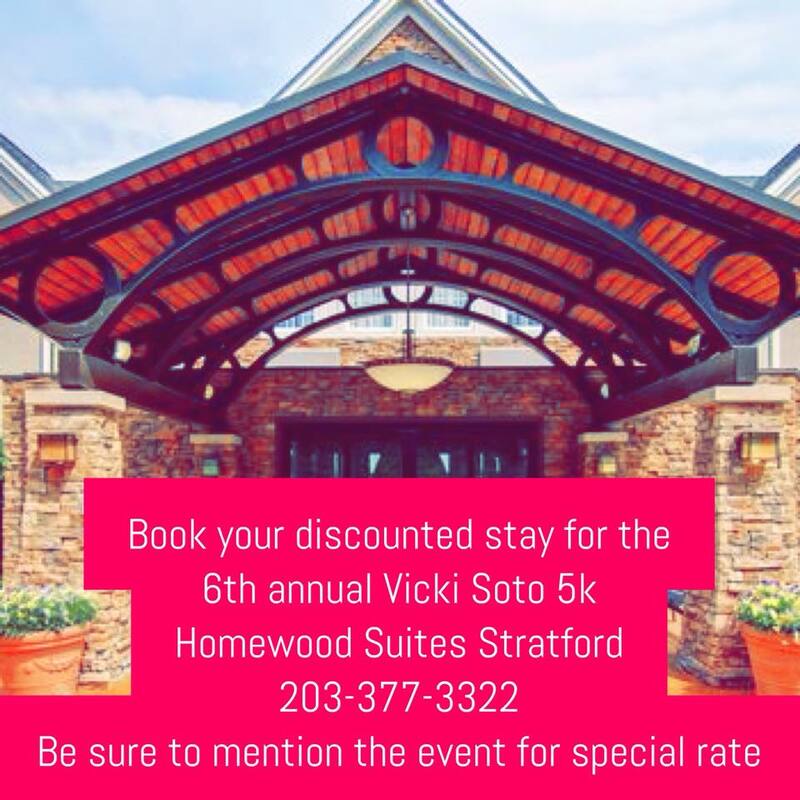 Book your stay at Homewood Suites in Stratford! This hotel is about an 8 minute drive from the race and is the closest to the event. They are giving a discounted rate to all who book and mention VS5K! 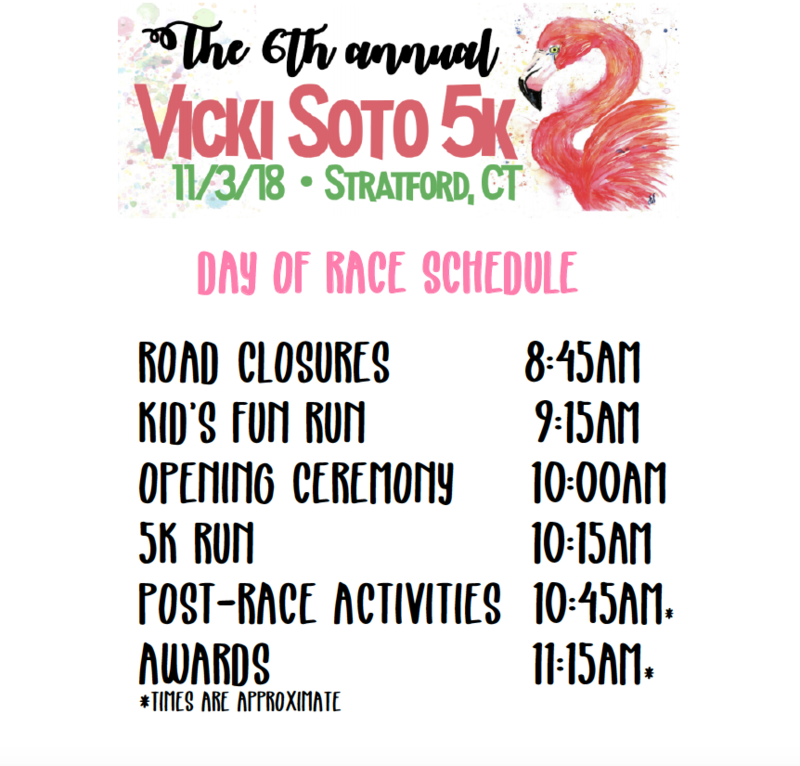 The Vicki Soto Memorial Fund Inc. is an official 501c(3) public charity organization. 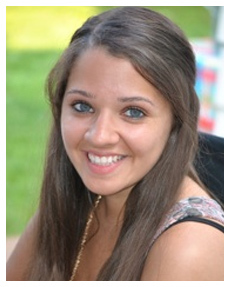 All money raised from the VS5K goes directly to support the following educational initiatives.